Pioneers in the industry, we offer multi colored pvc shrink labels, soft drink shrink label, multicolour pvc shrink labels, heat shrink label, reverse printed pvc shrink labels and juice shrink label from India. We offer Multi Colored PVC Shrink Labels in various colours. These multi-colour PVC Shrink Labels have excellent thermal and physical properties giving them versatility and flexibility. These multi-colour PVC Shrink Labels are available in various sizes and can be customized as per the specifications of our clients. With the constant support of our expert team, we are engaged in presenting a wide assortment of Soft Drink Shrink Label. 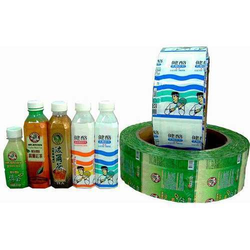 The best quality of Soft Drink Shrink Label is available in the market in bulk. The offered Soft Drink Shrink Label is extensively used in labelling soft drinks and other beverages. 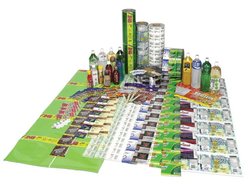 Being quality oriented organization, we offer Multicolour PVC Shrink Labels to our prestigious consumers. In various sizes, we are offering this Multicolour PVC Shrink Labels. These Multicolour PVC Shrink Labels are also customized by us as per the requirements of the clients. Multicolour PVC Shrink Labels are waterproof. Our organization is counted amongst the most distinguished providers of Heat Shrink Label. This Heat Shrink Label is known for its quality. 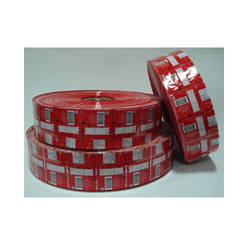 At reasonable rates, this Heat Shrink Label is offered by us to clients. 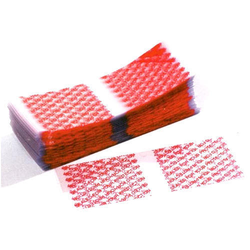 The offered Heat Shrink Label is extensively used to provide sealing, termination, identification, insulation, etc. 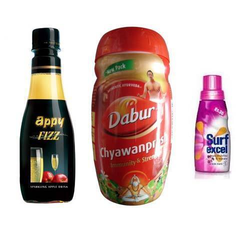 We have dedicatedly engaged to continuous offer an extensive range of Juice Shrink Label. This Juice Shrink Label is available in the market at a pocket-friendly rate. The offered Juice Shrink Label is available in the market in bulk. The offered Juice Shrink Label is mostly used in food industries as per the requirements. Our company is the leading company known for providing Cosmetic PVC Shrink Labels to the clients. The offered range is made from high-quality PVC material and this product possess information related to that particular product. This product is custom built by us keeping in view the specifications of esteemed clients. Cosmetic PVC Shrink Labels is passed through various quality tests under the surveillance of quality controllers to ensure prompt quality at clients end. We are the number one company known for offering PVC Shrinkable Labels to the clients. The offered range is made from environmentally super-transparent PET film and self-developed adhesive. This product under some temperature will be automatic shrinking, peeling off and no remaining glue in the process of recycling beer bottle and is widely used in various types of label. 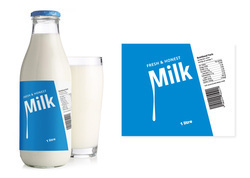 In series of delivering world-class products, we offer an exceptional array of Milk Bottle Label in the industry. This Milk Bottle Label is available in various prints. Moreover, the offered Milk Bottle Label is extensively used to glue labels to his bottles of homebrewed and to make new milk bottles is limited. 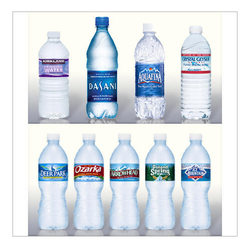 We are offering our client an excellent quality range of Water Bottle Shrink Label. These PVC Shrink Labels are manufactured from qualitative range of raw materials. These PVC Shrink Labels are offered in variety of designs, shapes, sizes and colors. 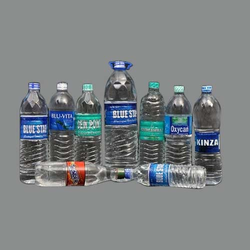 We are engaged in offering a wide range of Pet Bottle Shrink Label to our valued customers. 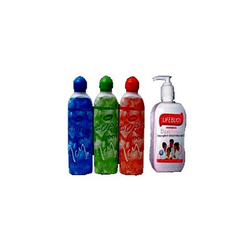 The best quality of Pet Bottle Shrink Label is offered by us to clients at reasonable rates. 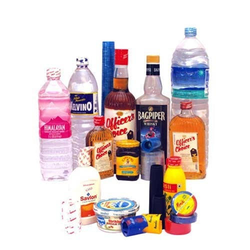 Further, the offered Pet Bottle Shrink Label is extensively used for labelling various types of products of different sizes and for packaging various products. In order to meet the various requirements of the clients, we are actively engaged in offering our clients a wide range of PVC Heat Shrink Label. The best quality of PVC Heat Shrink Label is offered by us to customers that extensively used for printing on PET, PE, PP, glass, and a lot of kids can. Our products are easy to use. Our organization is counted amongst the most distinguished providers of Shrink Label Roll. The offered Shrink Label Roll is available in the market in bulk at most affordable rates. 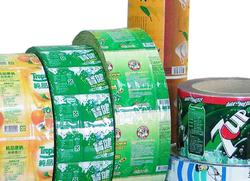 The offered Shrink Label Roll is widely used on pharmaceutical, food, household, etc. Moreover, the offered products are easy to use. Being a prominent organization of the industry, we offer quality assured range of PVC Heat Shrink Sleeve in the market. The offered PVC Heat Shrink Sleeve is manufactured by using good quality raw material and with accurate printing. The offered PVC Heat Shrink Sleeve is extensively used for packaging purposes and in many other suitable applications. 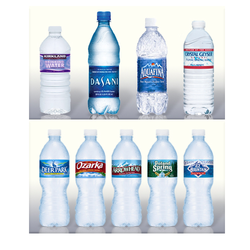 We are engaged in offering our clients a superior quality range of Pet Bottle Shrink Label. We design the given product following industrial standards by making use of best quality material and modern technology. We are among the most trusted companies for providing Printed PVC Shrink Sleeve to the clients. 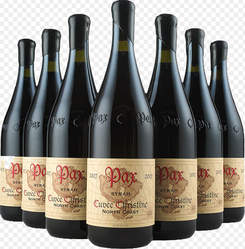 The offered range is used to seal the caps of the bottles or jars to their necks to avoid the possibility of adulteration by opening the caps of bottles or jars. This product is in high demand for excellent transparency, high shrinking capability at low temperature, moisture resistance and effective electrical insulation. Printed PVC Shrink Sleeve is used in various industries for laminating purposes with appropriate company labels. Our firm is involved in manufacturing and supplying a huge range of PVC Shrink Label. We design the given product following industrial standards by making use of best quality material and modern technology. 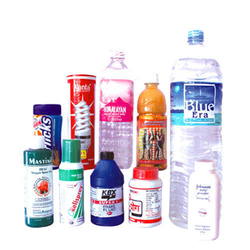 With the dedication of our hardworking time, possessing wide experience and knowledge of this industry, we are engaged in offering a broad spectrum of Shrink Label. The offered range is demanded in domestic, as well as, international markets. In addition to this, this label is tested meticulously by our qualified team of quality controllers on various specified parameters in order to ensure its flawlessness in the market.